Question: I want to select APT repository server/mirror that is fastest for my location. 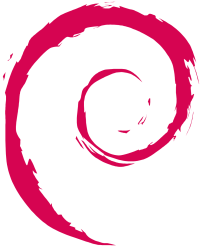 How can I do it in Debian? P.S. By the way, in Ubuntu you can do the same in a few clicks. Pingback : Debianizzati.Org » Debian: selezionare il più veloce server apt. Thanks a ton for your time to have had these things together on this blog. Robin and I very much treasured your insight through the articles in certain things. I recognize that you have many demands on your own timetable so the fact that a person like you took just as much time like you did to guide people just like us by means of this article is also highly prized. Hey there. I discovered your site by way of Google while searching for a related topic, your website got here up. It looks good. I've bookmarked it in my google bookmarks to come back later. Hi there. I found your web site by the use of Google at the same time as looking for a related subject, your website got here up. It seems great. I've bookmarked it in my google bookmarks to come back later. Thank you for sharing superb information. Your site is so cool. I am impressed by the details that you’ve on this blog. It reveals how nicely you understand this subject. Bookmarked this website page, will come back for extra articles. Just desire to say your article is as amazing. The clarity in your post is simply great and i can assume you're an expert on this subject. Fine with your permission allow me to grab your feed to keep updated with forthcoming post. Thanks a million and please keep up the enjoyable work. I’ve gone ahead and bookmarked http://www.linuxscrew.com/2008/05/15/faq-how-to-select-fastest-apt-server-in-debian/trackback/ at Digg.com and my site too - <a href=”http://www.exchangemymail.com”>microsoft exchange servers so my friends can see it too. I simply used FAQ: How to select fastest APT server in Debian - Linux * Screw as the entry title in my Digg.com bookmark, as I figured if it is good enough for you to title your blog post that, then you probably would like to see it bookmarked the same way. Hello! http://www.breakersmobile.com I just wish to give a huge thumbs up for the great information you will have right here on this post. I will likely be coming back to your blog for more soon. Amazing blog, bookmarked the website in hopes to see more information! After study a few of the weblog posts on your web site now, and I really like your manner of blogging. http://www.kendonleet.com I bookmarked it to my bookmark web site listing and will likely be checking again soon. Pls check out my web page as effectively and let me know what you think. I’m impressed, I have to say. Actually rarely do I encounter a blog that’s both educative and entertaining, and let me tell you, you've got hit the nail on the head. http://www.vipappliancerepair.com Your thought is outstanding; the issue is something that not enough people are speaking intelligently about. I am very pleased that I stumbled throughout this in my search for something referring to this. I was more than happy http://www.allstatepools.com to search out this net-site.I needed to thanks for your time for this glorious read!! I undoubtedly having fun with every little bit of it and I have you bookmarked to check out new stuff you blog post. My programmer is trying to persuade me to move to .net from PHP. I have always disliked the idea because of the costs. But he's tryiong none the less. I've been using Movable-type on various websites for about a year and am worried about switching to another platform. I have heard fantastic things about blogengine.net. Is there a way I can transfer all my wordpress posts into it? Any kind of help would be greatly appreciated! who hasnt peed on a tree while golfing? Great ¡V I should certainly pronounce, impressed with your web site. I had no trouble navigating through all tabs and related information ended up being truly easy to do to access. I recently found what I hoped for before you know it at all. Reasonably unusual. Is likely to appreciate it for those who add forums or anything, web site theme . a tones way for your customer to communicate. Excellent task..
a feeling inside of me informed me to work with them. I them my struggles and false promises other lenders gave me. The payday advance uk loan officer reassured me that Refinance. as payday loan uk foreclosures are at a drastic high.